Harry Potter’s days at number four Privet Drive are coming to a close, as his seventeenth birthday approaches, Harry will no longer be protected from Lord Voldemort’s discovery by his mother’s charm. The time for hiding is past. Harry, Ron and Hermione face a near-impossible mission set by Albus Dumbledore, they must hunt down and destroy the remaining Horcruxes but they have little to go on and in the face of hardship and loss, even the strongest friendships will be tested to their limit. There are riddles to be solved: What is the truth behind the fabled Deathly Hallows? How can a Dilluminator, a book of fairy tales and an old snitch be any use? And what is the meaning behind the prophecy that binds Voldemort and Harry together? As they face the final fight, everyone risks losing all that they love and in the end, Harry and Voldemort must face each other alone in one final, deadly duel. To finish it, once and for all. 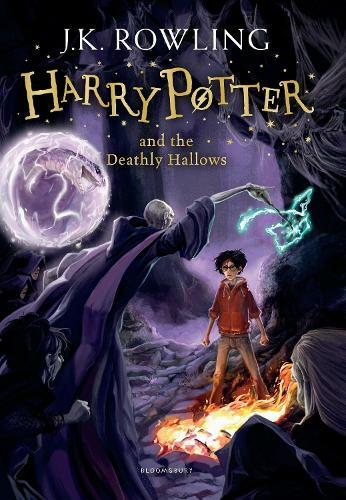 Waterstones asks you to join us as we accompany Harry Potter on one final adventure as J.K. Rowling’s epic series comes to its thrilling, heart-breaking conclusion. The battle of Hogwarts is coming, are you ready to join the fight?